I have tickets available for ten Washington Nationals’ games in July through mid-August, most of which I cannot attend because of summer commitments. 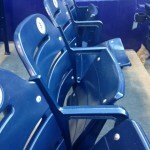 The seats are good ones, Section 127, Row Z, Seats 1 & 2, 20 rows off the field, between the catcher and Nats’ dugout. *For each of the games below that have two tickets available, they are free to you if you take a kid (broadly defined) or an older person (broadly defined). Otherwise, your ticket is free but you will have to pay me my cost of $60 for the second one. *For the two games I think I can attend, your ticket is free. *Give me two choices of games you are interested in attending so that I can juggle various requests. Here is a list of games available in April, May, and June at Nationals’ Park, DC, either to join me or to get two seats for yourself. Mon., April 10, 7:05 PM vs the Cards – Two tickets (without me) four rows behind the Visitors Dugout. Free if you take someone of a different generation, otherwise $75 per ticket. 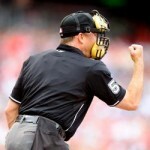 Wed., April 12, 4:05 PM vs Cards – Join me at no cost to you. 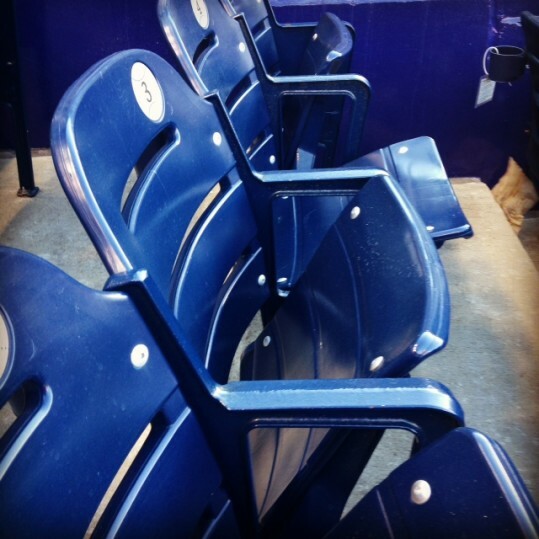 Wed., May 3, 7:05 PM vs Diamondbacks – Join me at no cost to you. Wed., May 10, 7:05 vs Orioles – Join me at no cost to you. Fri., May 12, 7:05 PM vs Phillies – Two tickets at no cost to you if you take someone of a different generation, otherwise, $57 per ticket. Sat., May 13, 7:05 PM vs Phillies – Two tickets at no cost to you if you take someone of a different generation, otherwise $57 per ticket. Tues., June 13, 7:05 vs Braves – Two tickets at no cost to you if you take someone of a different generation, otherwise $57 per ticket. Fri., June 23, 7:05 vs Braves – Two tickets at no cost to you if you take someone of a different generation, otherwise $57 per ticket. Thurs., June 29, 4:05 vs Cubs – Join me at no cost to you. *I will accept, however, a bag of peanuts (for sharing). Email me (Samesty84@gmail.com) if you are interested in any of the above games, whether to join me or to take the two tickets for yourself. Let me know of any interest by Monday next (Nats’ Opening Day, April 3). If possible, give me two games so I can juggle any requests as this will not be decided solely on a first come, first serve basis. I’ll have other tickets, many more, for July and August and will post those dates probably some time in May. We had heard a good deal about the new Nationals/Astros spring training facility — The Ballpark of the Palm Beaches. Thus, when I saw that the Sox would be playing the Nats there, I of course got tickets and met my cousin and some other friends there Mar. 7th. We had tickets behind the Sox dugout, and, for some reason, the Sox brought most of their starting players. The weather was perfect, and we got to see both first string Sox & Nats players as well as those trying to make the teams. The Sox won, of course, and even if it doesn’t matter who wins Spring Training games, if you’re a Sox fan, you never want them to lose. The facility is on 160 acres of what use to be a landfill, trash dump. There are 12 practice fields, six for each team. The Astros have one which is the exact dimensions of their home field, and the Nats have two that are similar to their park in DC. The facility was built quickly, in 15 months, and cost about $150 million, $50 from the state and $100 million from a new county hotel tax. 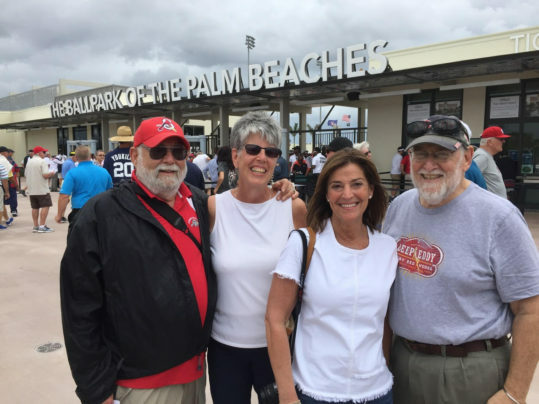 We had heard horror stories about the traffic getting into the Ballpark of the Palm Beaches, but thanks to advance word and advice from my cousin, we approached it from the north (?) and had no trouble parking. 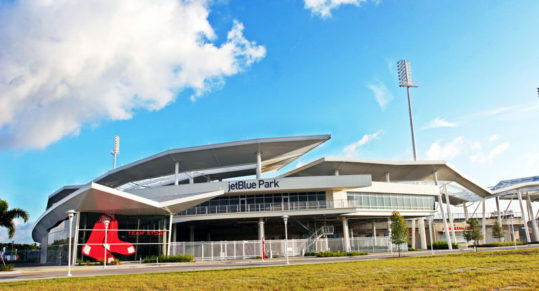 There are now four teams that have their Spring Training facilities in the area – Nats, Astros, Cards, and Marlins – so if you have the time and interest, spending a week or so in the Palm Beach area in the month of March will allow you to see those teams as well as ones that come across the state from the West Coast. Then it was on to the West Coast to see other friends and three Sox games, one against the USA World Baseball Classic team, one against the Os, and one against the Rays. Of course, the Sox won all three, and even if the games don’t count for much, if you’re a Sox fan, you always want to see them win. But the real reason to go was to see Fenway South, i.e.,Jet Blue Park, where the stadium is said to be a replica of Fenway Park in Boston. 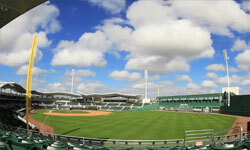 Built five years ago, after much negotiation with the ‘powers’ in Ft. Myers, the Sox got a new $77.9 million stadium outside of the city on 126 acres, including six practice fields (one with the same dimensions as Fenway) and a rehabilitation center. The funding came, in part, I think, because Lee County was afraid the Sox would move away, and involved some kind of public-private partnership, where much of the public outlay came from a “bed tax” on hotel rooms in the area. While the main ball park itself has the same dimensions as the one in the north, it didn’t feel so much like Fenway in Boston. Yes. It has a Green Monster, with seats and a net in the middle of the wall, a former Fenway scoreboard that has to be manually updated with the use of a ladder (there’s no room behind the scoreboard to change the score between innings, etc. 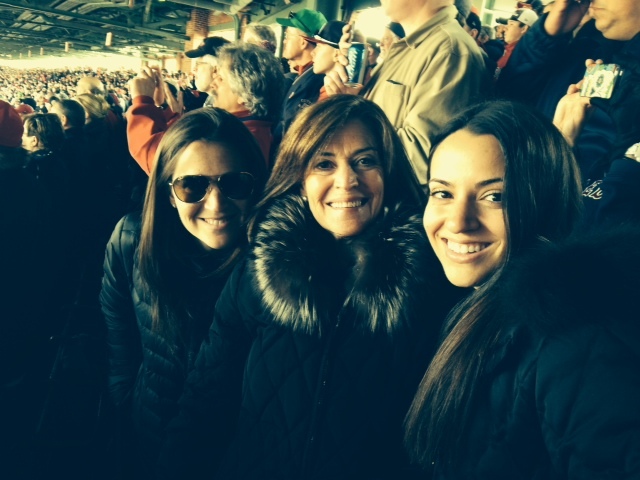 ), a Pesky Pole, a triangle in center field, and a lone red seat (longest HR in Fenway). The 11,000 seat stadium is quite open and shady, but it didn’t feel anything like Boston’s Fenway to me. I couldn’t tell exactly, but the right field configuration didn’t feel like the Fenway I know and sitting on/in the Green Monster (game vs. the Rays) only faintly resembled the one in Boston. In the game vs the USA team, we sat just to the left of home plate and had an enormous amount of room in which to stretch out. 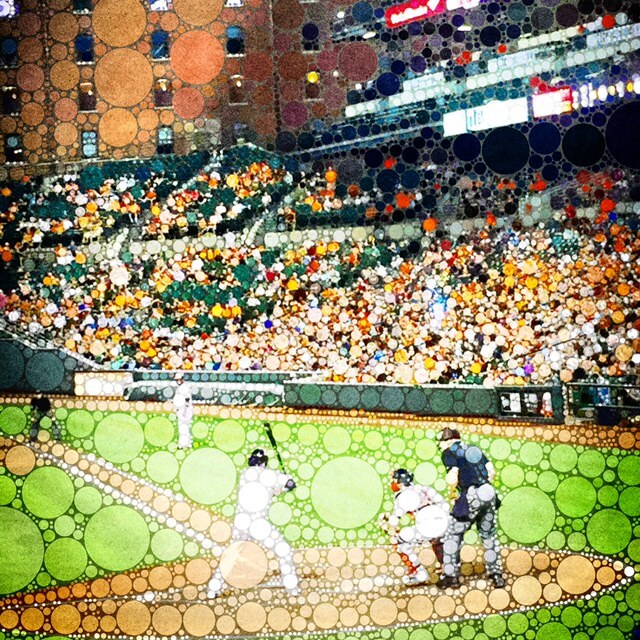 Against the Os, we sat beyond first base and by the end of the game our necks were sore from looking to the left. Still, it’s the spring home of my heroes, and, like most spring training facilities these days (15 in Florida and 15 in Arizona), you feel close to the players, the weather is delightful (away from the cold and snow of the north), and you get the opportunity to see both starting players and those who are trying to be starters, or will be in several years. I’ll definitely return. Anyone want to plan next year’s trip with me? Readers of this site probably already know of my interest in different generations enjoying baseball together. That’s how I got hooked on baseball, and I’ve carried that on with my own kids and now grand kids. You may also know of my two favorite current sports’ writers, Joe Posnanski and Thomas Boswell, from whom I learn something every time I read one of their columns. And so, check out Posnanski’s latest column, wherein he writes about the best age to get your kids/grandkid involved. While the article does focus on Theo Epstein, I post a link to it primarily for the discussion about getting the next generation involved. And finally, I have not heard from most of you with your predictions for the 2017 MillersTime Baseball Contests. And in case you missed the post, Connecting Generations, there are special prizes this year for submissions that involve cooperation between two generations. Deadline for submissions is just about two weeks away. Remember, in case of a tie, the predictions submitted earlier wins. Join Me for a Nats’ Game in Sept./Oct. 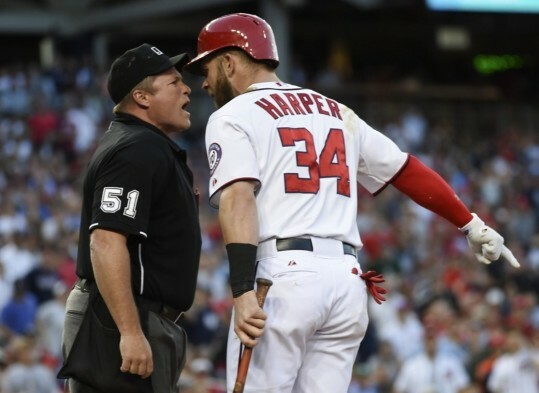 It appears the Washington Nationals will once again make it to the playoffs, perhaps this time with a better opportunity of not being eliminated immediately. In the meantime, I have a number of games available, either for you to join me or to get two tickets for yourself. No cost to you if you join me, and no cost if you take two tickets and agree to take a kid. If the two tickets are just for yourself, then that will cost you the face value ($60 per ticket). The seats are terrific, between home and first, close to home, about 20 rows off the field. In some cases, I have parking next to the stadium. I will wait a few days before deciding who gets what tickets in case of people wanting similar dates, games. So if you read this post and respond by Sept.5, I’ll try to make duplicative requests work. I’ve got some tickets available for Washington Nationals game in August. You take a ‘kid’ (broadly defined), in which case you can have two tickets for that game. You want two but don’t plan to take a kid. Let me know of your interest by Wednesday, July 13, and I’ll do my best to accommodate (not doing a ‘first come, first serve’). I also have a bunch of tickets (with and /or without me) for Sept. and will put those on Millerstime around mid August. 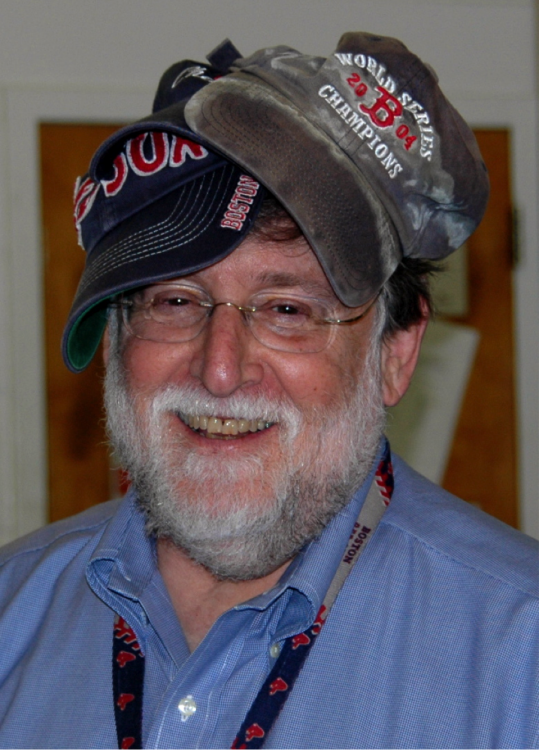 Sometimes it’s a particularly good day for Sox and Nats fans…and not so good for Yankee and Orioles’ fans. Sunday was one of those days. 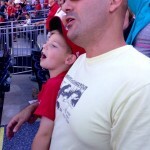 We were at a Nats’ afternoon game that was mostly without excitement for the first eight or nine innings. Strasburg pitched well, except for one pitch (isn’t that often the case for pitchers?) where, although he struck out 10 batters over 7.1 innings, he gave up a three-run homer that broke up a tie game and put the Nats in a 4-1 hole. Mostly the game was a pitchers’ duel (I enjoy those, but my wife, a fair weather fan — she only goes to games if the weather is fair — prefers more ‘action’). Then the Nats scored two in the 8th to come within one run of tying the game. 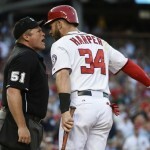 In the 9th, boy wonder Bryce Harper, who was being given a day of rest (really necessary for a youngster like him? ), pinch hit and of course slammed one out of the park to deepest center. We had to leave the park for grandparent duties but listened on the radio (still a wonderful way to follow baseball if the announcers are good) and later followed the action on our smart phones. The game went 16 innings before a mostly unknown player, Chris Heisey, who had replaced Harper after the 9th, hit a game ending home run, almost six hours after the 1:35 PM game had started. As if that wasn’t enough baseball for one day, after we got home, I checked in on the Sox who were playing a Sunday night game. And that was almost a repeat of what happened with the Nats, tho the Sox game only went 12 innings and lasted a mere five hours. The Sox were ahead 5-1, then 5-3, which they held from the end of the third until the bottom of the 9th, when their new, expensive, and highly touted closer, Craig Kimbrel, got two outs before giving up a double and then a home run. Now it was just after 1 AM (I had moved from the bedroom to the study around midnight in order not to cause my fair weather wife any more loss of sleep and to preserve what was left of my marriage), and I was a bit hyped up. So of course I checked in on the Evil Empire Yankees and was pleased to see they had lost 8-1 and were now in last place. Plus, although A-Rod drove in the Yunkee’s one lowly run, he was now hitting a mere .148. Then I checked on the current AL East surprise league leaders, the Orioles, and was delighted to see they had lost to the Royals, 6-1. All in all, about 12+ hours of baseball, and all good. Some days are simply better than others for obsessed baseball fans. Below you’ll find a series of Washington Nationals’ dates and games available, either to join me or to get two seats to a game I cannot attend. If you join me, your seat is free, but you’ll probably have to listen to my baseball chatter and maybe even buy me a bag of peanuts. If it’s a game I can’t attend, then if you agree to take a kid (broadly defined) for one of the two seats, then both seats are free. If the two seats are for two adults, then you can reimburse me at my cost, $55 per seat. 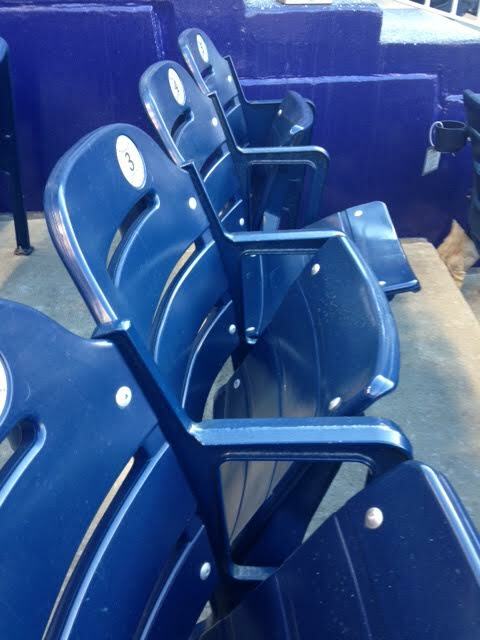 The seats are good ones, either in Section 127, between home and first behind the Nats’ dugout, 20 rows off the field or in Section 117, four rows behind the visitors dugout. Let me know (Samesty84@gmail.com) as soon as you can what game(s) you are interested in attending (the more choices you give me the better). I will try to fit everyone in. If nothing works out for these games, I’ll have another set of offerings (later in the season) with a number of seats for July, August, and September. Sunday, April 10, 1:35 vs Marlins. Two seats. (I can’t attend). Wednesday, April 13, 7:05 vs Braves. One seat with me. Thursday, April 14, 4:05 vs Braves. One seat with me. Sunday, April 24, 1:35 vs Twins. One seat with me. Tuesday, May 10, 7:05 vs Tigers. One seat with me. Wednesday, May 11, 7:05 vs Tigers. One seat with me. Tuesday, May 24, 7:05 vs Mets. One seat with me. Tuesday, June 28, 7:05 vs Mets. One seat with me. If there’s another/different game anytime in the season you have interest in that’s not listed here, let me know as I can possibly trade some parking passes with a friend to get that game and to go with you if I’m in town. 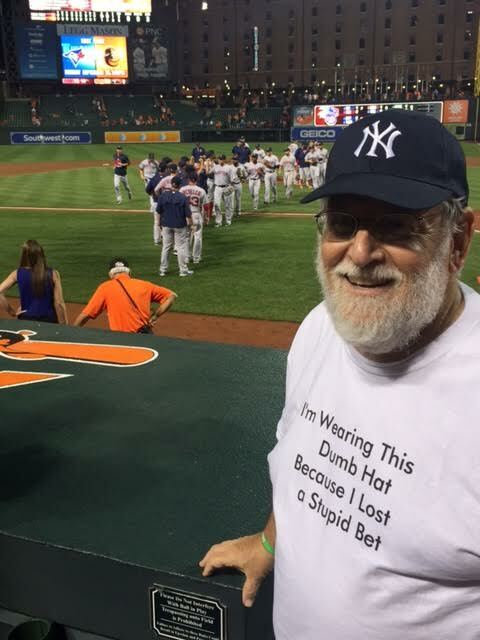 PS – Don’t forget to get in your 2016 Baseball Contest Picks. Deadline is approaching (see below). Submissions will not have any effect on getting one of the above games. As you can see from the pictures below, I spent an entire Red Sox game last night wearing a Yankee hat. Final available tickets to join me at a Nats’ game. Let me know by Thursday, August 20th by email or in the Comments’ section of this post if you’re interested in a particular game or games. First choice will go to ‘fans’ who haven’t been to a game with me this season.